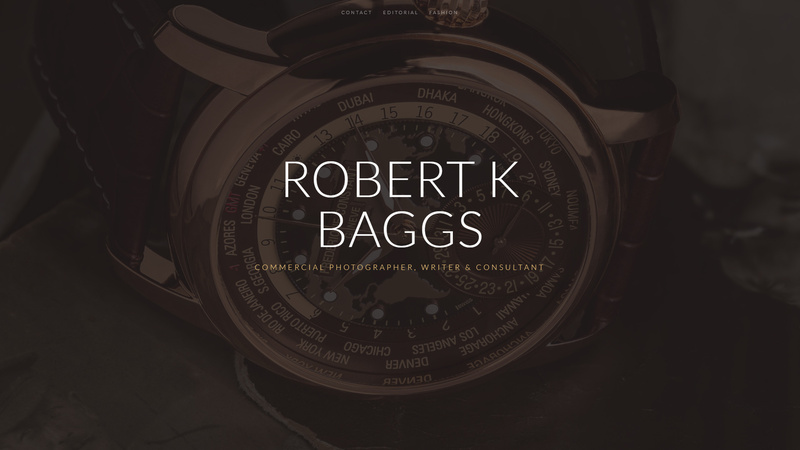 Over the last decade I have navigated through many different website providers, platforms, and systems with my online portfolio. It has always been very important to me, but where once I gravitated towards interesting features, now my chief concerns are image resolution, mobile compatibility, and tools for analytics and SEO. 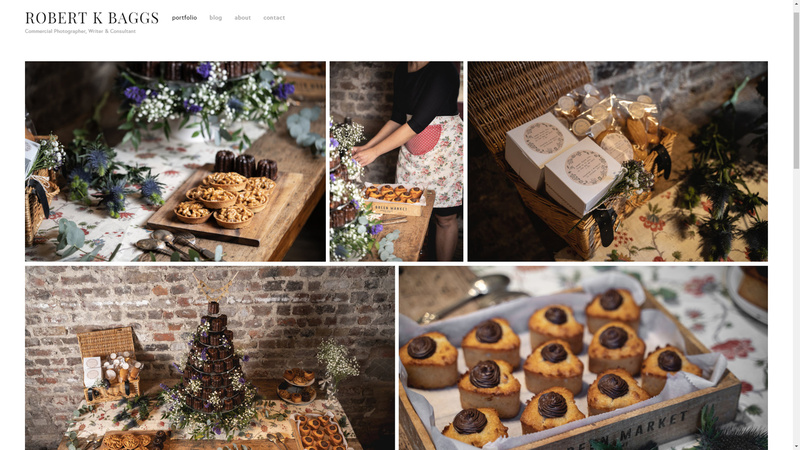 To that end, Squarespace is undoubtedly one of the best options not only photographers and videographers, but any website owner. 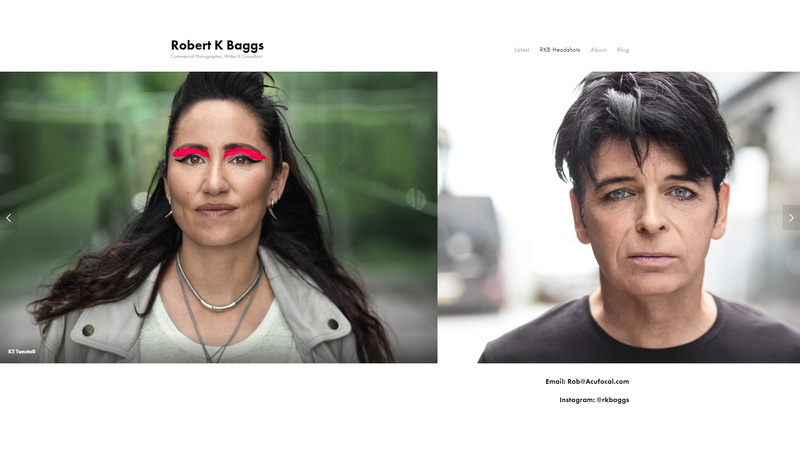 You may spot the "sponsored" tag on this article and presume I'm made to say these things, but I jumped at the chance to work with Squarespace because of the depth of their platform, and its holistic approach to online portfolios. The five templates I have chosen here are styles I'm always drawn towards (of which there are probably ten or more) but which Squarespace have executed very well. These are chosen on design, functionality, and image presentation. All sites have full mobile, tablet, and computer compatibility. To look through all of the templates available, click here. For a free trial of Squarespace for 14 days, and then a 10% discount offer for your first purchase, head to Squarespace.com and use the discount code FSTOPPERS. The large carousel layout is one I often head towards first as it's intuitive, clean, and engaging. While it doesn't offer the wealth of images that a tiled approach does, it hits you straight away with one or two images in high resolution, that entices the visitor to keep scrolling on through. Crucial information can be put in the header and footer, along with relevant links and social media icons. 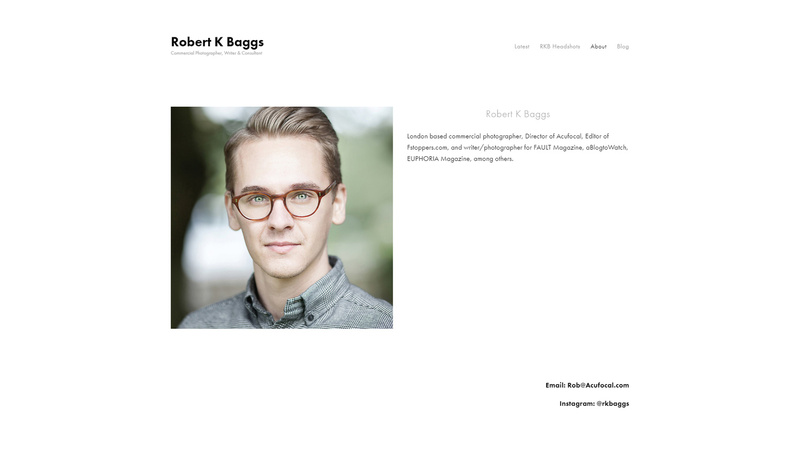 This is somewhat of a classic layout for portfolios, but it's a classic for a reason. I tend to follow the carousel route for the galleries listed in the navigation page, giving the user the least amount to do and the least amount of resistance possible for scrolling through my work. While the layout is uniform and simplistic, it can be built upon to be more complicated and interactive. For me, the merit of this template is its straightforward nature that anyone with a phone, tablet, or computer can navigate without thought. This is the template I would use if I had a number of different galleries I wanted to display, each with several flagship images. This is undoubtedly one of my favorites, if not my number one choice. It's as clean a design as you're likely to find, with a great subtle feel to the navigation. However, it hits you hard with a full screen image straight off the bat. I've always been attracted to these large photo formats, but too often it's paired with fiddly animated navigation bars, or text obscuring the image which is meant for that maximum impact. The navigation bar being at either side renders it a write-off for me, as it defeats the point of the large homepage image. The navigation bar at the top can work, but I've always had a sense that it was a little distracting. A thin and soft navigation bar at the bottom is perfect for me. 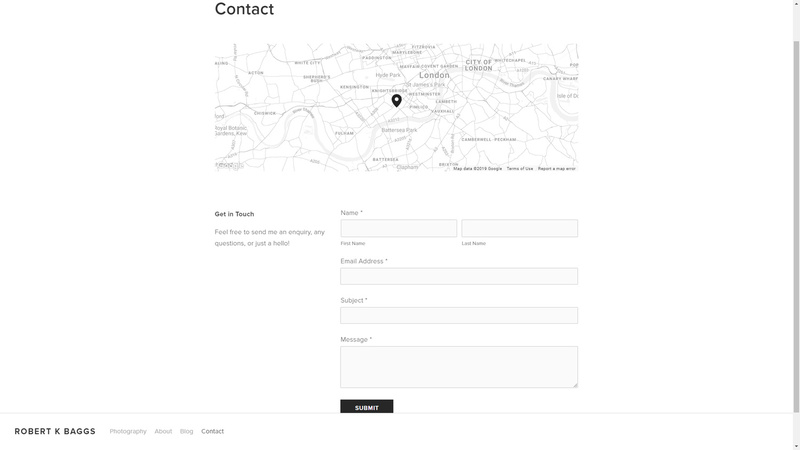 One of the allures of this template is the Contact page. Its monochromatic design is in line with the high-end feel of the website, with its subtle, unobtrusive gray text, feigning a lower opacity. The map is beautiful all the while being interactive and fully functional within the confines of the portfolio. A minimalist template that lets your photography do the talking. 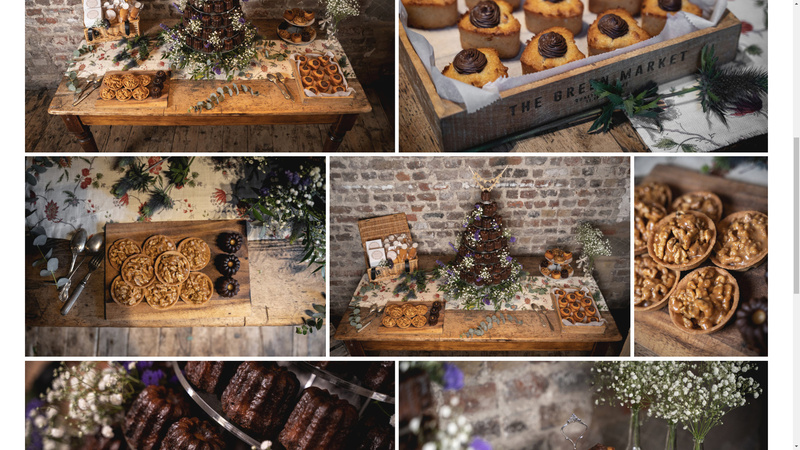 This is the template I would opt for with commercial imagery, or any high quality and high impact photographs that would see the most value out of the large photo presentation. 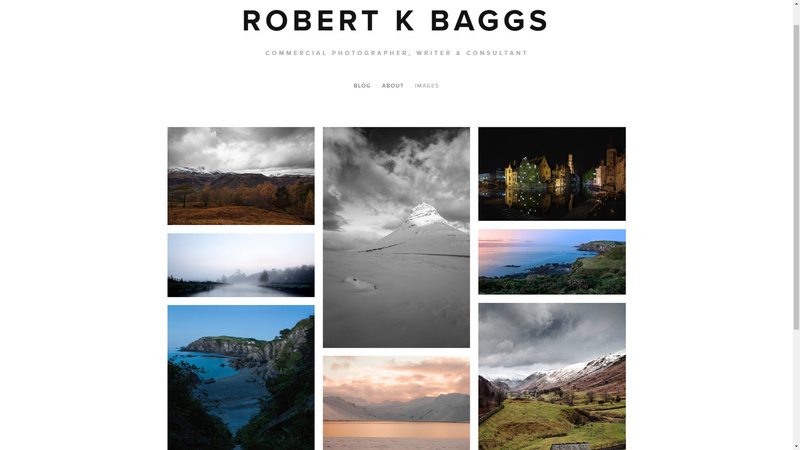 One of the biggest draws to Squarespace for me is that you can customize templates that aren't necessarily engineered towards photographers, and make them in to unique photography portfolios. 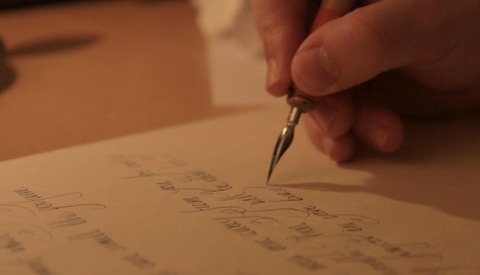 The Native template while still aimed at creatives, is geared more towards blog-centric, writers' websites. However, if you regularly maintain a blog, you can pair that on your homepage with links in the navigation bar to galleries of images. I love how simple this website is. The flow of the design leads you down the center of the page, offering all information and galleries as you want it presented, and seamlessly into your blog posts and articles. 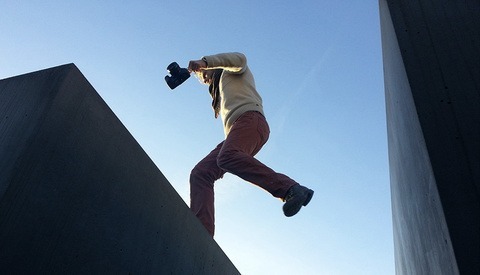 The merits of having a blog as a photographer or videographer are many and well covered, but I always saw it as a separate entity, tacked on to the main body of photographs. With this layout, that's not at all true, and the false dichotomy is removed in favor of one synergized website. The dynamic tiled galleries that are chosen by default are a good fit and more can be added if necessary. 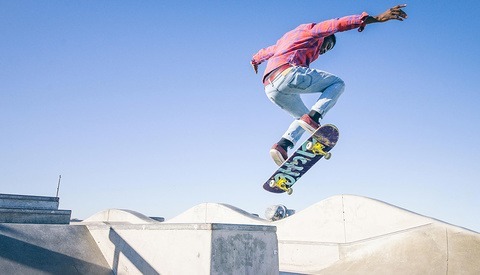 For me, Native is for a blogger primarily, with the template paying dividends for those who do a specific niche of photography and write about each shoot. Although I do enjoy the crisp white themes that are in vogue for photography portfolios, I am always fighting the urge for a darker, moodier approach. If you're bored enough, you can research why most websites are white and not black (I did and the TL;DR is ease to read black text on a white page), but that's not applicable if you have few words. With the move towards a darker theme, comes more unusual layouts and color themes. A dark brown and gold fit my commercial fashion images well, and the homepage is certainly one of my favorites on this list. 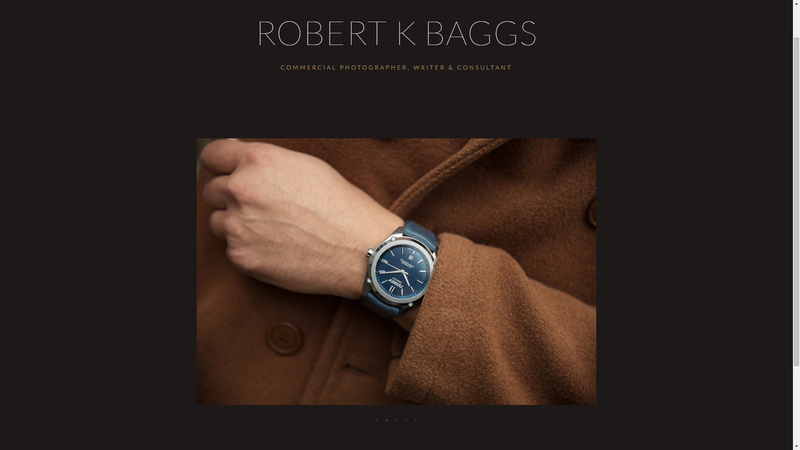 It's not obviously a photographer's portfolio upon first glance, and I like that. There's value in standing out if done correctly. As with any of these templates, it can be molded and tweaked until your heart's content, adding galleries and project pages where you please. This is a template for someone with a highly refined and selective body of work they are looking to present to their potential clients. There is zero clutter, and every image gets the spotlight one by one. For photographers who have a specialized niche, this could be your perfect choice. Finally, I've chosen a template with a little less of a minimalist layout. Sometimes you want your flagship image, front and center, but sometimes you want a series spread out in front of people. Wexley is a dynamic grid layout that works perfectly with large sets of images, allowing viewers to scroll through them immediately. Rather than a flagship image on your homepage, you can instead have a flagship series or project. It's worth pointing out that cohesion between the images selected is crucial to a grid style working. Disparate image themes, from hugely varying shoots will give off a messy and confusing aesthetic. If you have a series or a set of images with a consistent thread that runs through all of their appearances, this template could be an excellent way to present it. 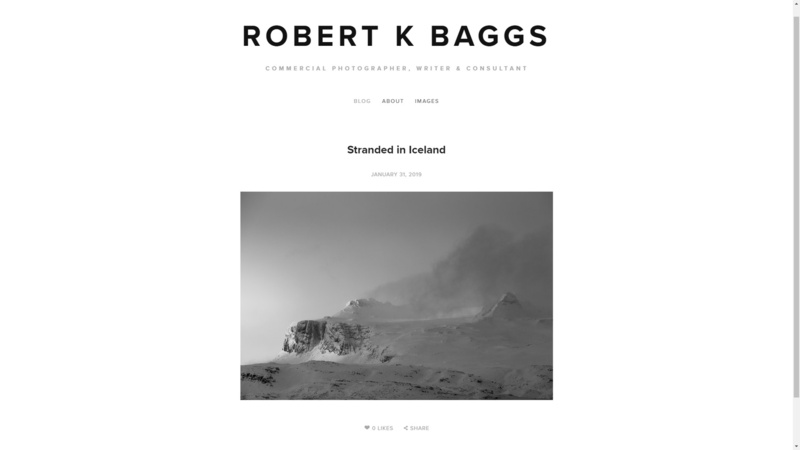 In stark contrast to the complex layout of the portfolio, the blog is neat and simple. For this post, I simply created a carousel at the top of the post, a title, and wrote about the shoot. The post formatting is uniform across templates, and it's swift and easy to use. How it's presented within the template can vary, but Wexley's is great straight out of the box. As someone who has done everything from Wordpress, to full plug-and-play website templates where you merely upload the photos, I'm encouraged by the direction platforms have headed. 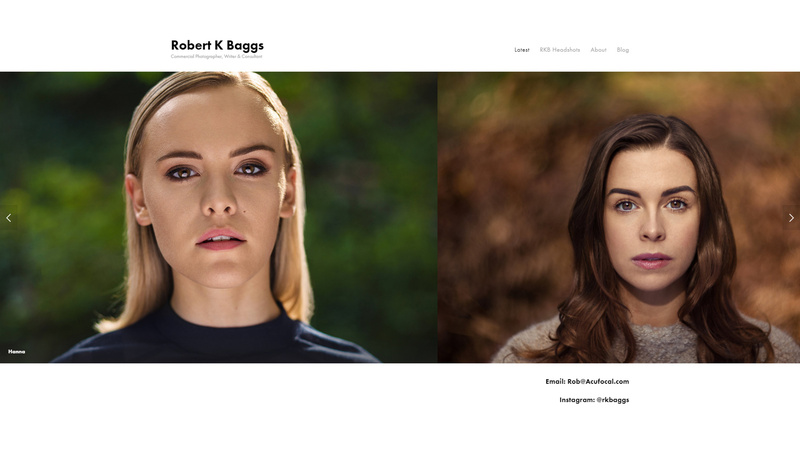 With Squarespace, designing a website for your photography portfolio to have an online presence can be as simple or a deep as you want it to be. Furthermore, the integration of a blog so comfortably in to the portfolio makes it an attractive prospect for hobbyists and professionals alike. The five templates I picked are my personal choices from a selection of too many to count. For my uses, I'd be torn between Aviator and Momentum, with their full screen flagship images. That said, with hours spent on each template customizing the design and functionality, my decision could change completely. Have you got a great looking portfolio? Show me in the comments! 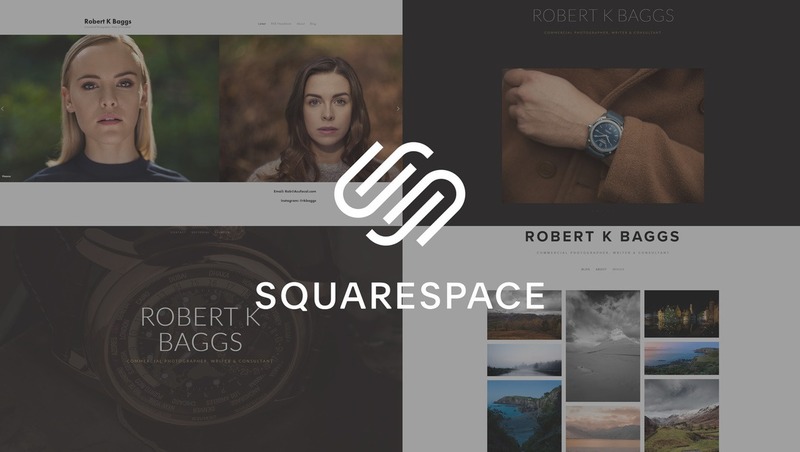 Remember to grab your free trial of Squarespace for 14 days, and then a 10% discount offer for your first purchase. Head to Squarespace.com and use the discount code FSTOPPERS. Isn't webflow a WordPress template site? They do have some nice looking templates. Although Squrespace does give you unlimited storage it still far behind WIX in depth, looks and functionality. I did try the short trial period with Squarespace and although it was a while ago I found it to be lacking. I used WIX for a year and went back to regular static site and web hosting. However, if you already willing to spend the money go with WIX. wix has also a free account option, it's limited on space but still fully function. I'm currently on the Wexley template and have used Momentum in the past. Both are great looking templates although I am not sure about the SEO value of either site considering that the front page has very little, if any, text. I can't really figure out if the mouseover text over images or image tags register with Google. I also get a ton of web crawler errors on my Google Analytics panel, such as errors with the time stamp on blog posts. According to the forums, it seems that Squarespace has been "investigating this issue" for a few years now with no update. I will say that I like the Wexley template a lot visually because it doesn't crop images. 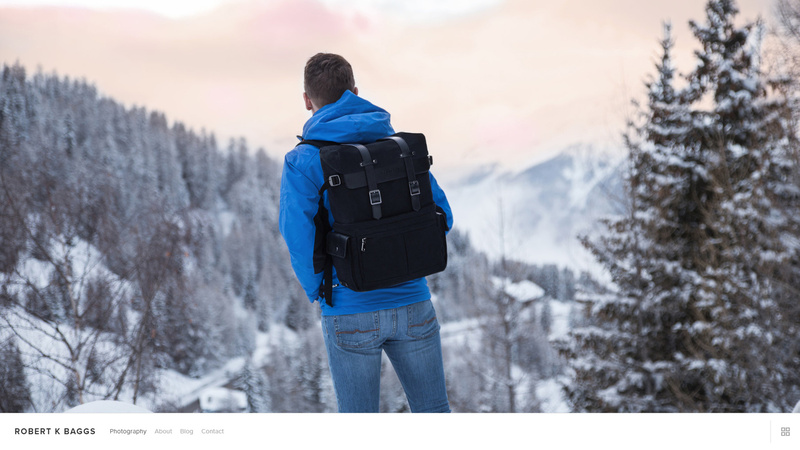 Most of Squarespace's templates crop images to 3:2 or 1:1, which is kind of a killer for some landscapes, especially ones shot in portrait. Great use of Wexley there. I'm not sure either; traditionally a footer has been valuable to SEO but these things change quickly. Completely agree on cropping. It's not something almost anyone wants given how carefully us photographer select our crops. Great article! I also use Momentum but my biggest gripe with it is the thumbnail button. Because of this I have to force my audience into a thumbnail view and hopefully when they engage their eyes follow the bar close and they locate the thumbnail button. I photograph beauty products and I'm a long time shooter of Infrared. I really like that. Uses the dark theme that few are on board with but I think it works a treat, particularly with your brand of photography. I recently changed my hosting from SmugMug to Format. Whilst SmugMug's support was fantastic, I felt there were features I wasn't using but paying for while some features I wanted weren't available. Changing hosting was just part of an analysis of where I was, professionally, and how to progress forwards. I've stripped back my work to core essentials to focus on and Format suited where I am right now. Good stuff. Simple, but with depth. I like the hard hitting splash image upon first entering. Also great work! I like this Format page. Honestly I can't remember; I think I'm using almost half a dozen templates for different pages. My Homepage, Galleries, About Me, Legal pages... they're all different templates according to how I want those individual pages to look. Sorry I can't be of more help. Second paragraph: "You may spot the "sponsored" tag on this article and presume I'm made to say these things, but I jumped at the chance to work with Squarespace because of the depth of their platform, and its holistic approach to online portfolios." I am a true master of disguise. In all honesty I sit somewhere between truly liking and absolutely loving Squarespace. 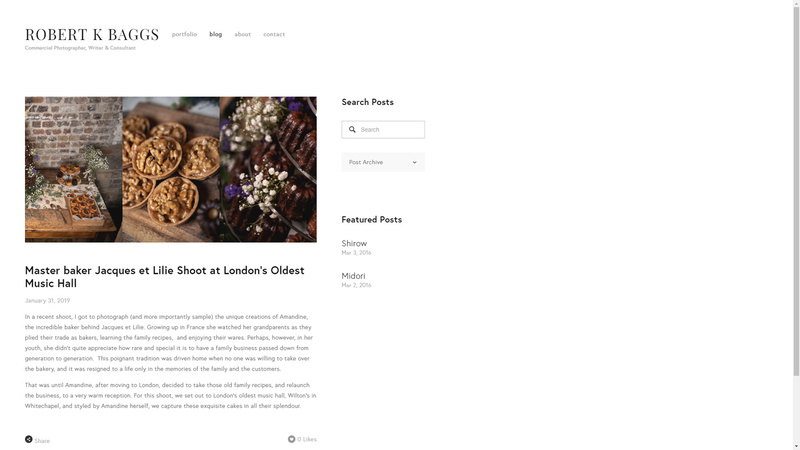 I really love that it's not as involved as Wordpress to walk away with a flashy website.. but I only really like it because getting to that flashy website means I have to get somewhat involved. Interesting article. I was curious to see how your site looks like and was surprised to read at the bottom of it that it is powered by Zenfolio...am i missing something or did end up not going with Squarespace?